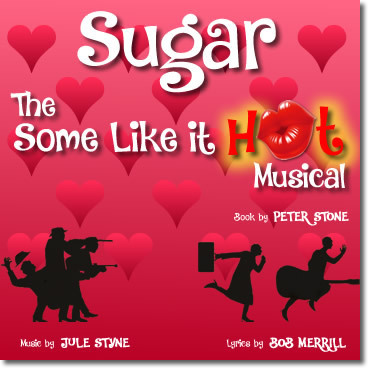 Based on the classic 1959 film, this sizzling comedy musical premiered in 1972 and features songs by the classic Broadway tunesmith, Jule Styne. Two unemployed musicians, bass player Jerry and saxophone player Joe, inadvertently witness the St. Valentine's Day Massacre in Chicago. To escape the gangsters, they dress as women and join an all-female band about to leave town for an engagement at a Miami Beach hotel. Complications arise when Joe (as Josephine) falls in love with beautiful band singer, Sugar, and Jerry (as Daphne) finds himself pursued by wealthy and elderly Osgood Fielding. Total chaos erupts when the gangsters descend upon the hotel and realize who Josephine and Daphne really are!